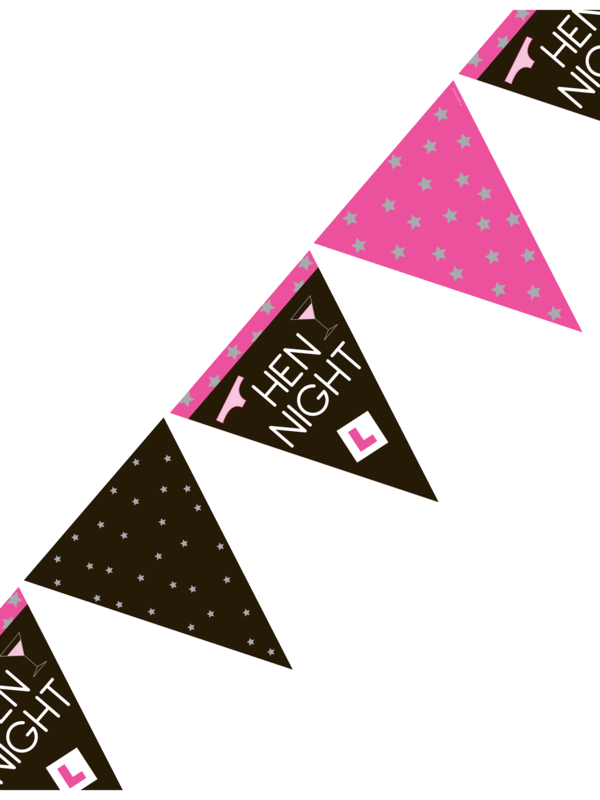 Set the mood at your hen party with this gorgeous Hen Night Party Bunting Decoration. It's guaranteed to brighten up any venue and inspire excitement for the night ahead! This bunting is 3.7m long and contains black and pink triangles, decorated with stars. Some of the triangles have 'Hen Night' text, as well as little motifs of a learner's plate, a cocktail glass and a pair of knickers! Don't forget that Hen Party Superstore offer next day delivery, so you can get your perfect decorations even at short notice.